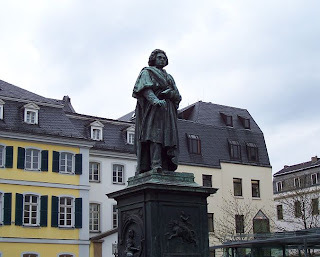 One of the things that the city of Bonn is known for is the fact that Beethoven was born here. The house he was born in has been turned into a museum and they have placed a statue in the center of the city as a way to remember and honor Beethoven. While I was in Bonn the other day I took this picture of Beethoven’s statue. As I was riding the train home I got to thinking about this statue of Beethoven that was set up as a memorial to remind people of who Beethoven was and that he once lived in Bonn. This got me thinking about Good Friday and Easter, which were only a few days away at the time, and how these days are used to remember Jesus, who He was and how He died and rose again. Today Beethoven is dead and you can listen to some music that he wrote. Today Jesus is alive and He gave us more than just some music; Jesus came to die on the cross for us and to bring us into a new covenant relationship with God. As Christians we are the temple of God and living stones in the spiritual house of God, which is the church, the Body of Christ on the earth (1 Corinthians 3:16; 12:27; 1 Peter 2:5). To me this is an amazing thing and it is what makes Christianity different than every other belief system in the world. 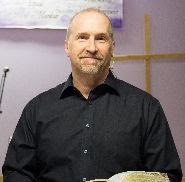 We are a different kind of memorial, a living representative of Jesus on the earth here to show the world who He is and what His life meant for us and everyone else. Easter is a special time to remember Jesus but we need to keep in mind that we are ambassadors for Christ everyday and we all have a “mission field” to work in. From now on when I am in Bonn and I look at this statue it will make me think of more than just a great composer; it will remind me that I am a different kind of memorial.